Feel yourself free from the pull of the boat! Enjoy the amazing glide on the water and speed maintenance. 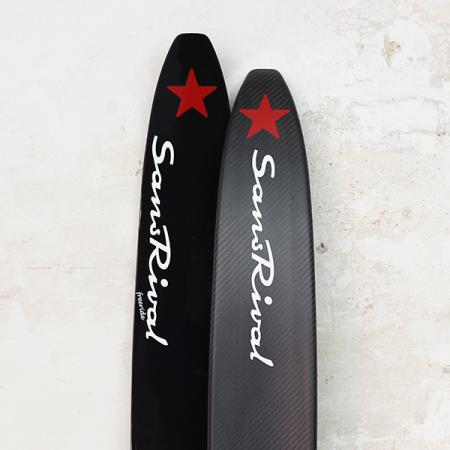 Waterskis of SansRival for the constant pursuit of surpassing your personal best!